It’s interesting to me that while humans are the only creatures on earth with developed verbal skills, we are also the creatures that suffer the greatest misunderstandings. I’d suggest that this isn’t because we don’t have the best tools for communication, it’s because we choose to use them for deception. Because words are so efficient and effective, they quickly become the primary method we use to conceal the truth and lead people in different directions. This means that we can’t just listen to what people say to us, we also have to watch what they do. In many cases body language is just as important as spoken language. Over the years I’ve learned that if you pay attention to a person long enough, they will tell you exactly who they are. The key is listening to everything they tell you, not just the words that are coming out of their mouth. For instance, many people were surprised yesterday when it was announced that Justin Bieber was arrested for driving under the influence, illegal racing, and resisting arrest. 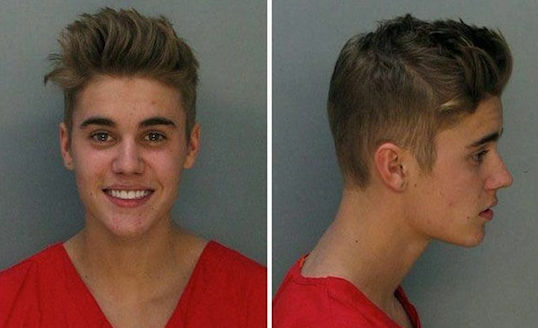 While I can understand that some people would be shocked to learn that the 19 year-old was arrested, I just can’t seem to figure out how people missed the fact that Justin Bieber has been announcing his public meltdown for at least a year. And disregarded the law in brothels. All three of these behaviors are statements that he drives fast and parties hard. Maybe we failed to pay attention to these things because we’ve been ignoring his actions and focusing on all of the things he has said? While Bieber and his reps have done a fairly good job of putting the right words in front of people, even the quickest Google search brings up more dirt than soap. Maybe the issue isn’t that Justin has been lying to people… maybe it’s that we keep choosing to believe his words regardless of how they contradict his behavior? Words are the primary methods we use to conceal the truth about ourselves aren’t they? Sadly we tend to take the things that people tell us at face value because we want to believe them, not because they add up to truth. Justin Bieber can get away with singing about faith, hope, and love while cutting a tawdry swath of self-indulgence through South America because WE desperately want to believe that it’s possible to talk one way and live another. He might be guilty of feeding us lies, but we’ve been guilty of eating them with a spoon. …it’s because we were choosing not to listen to him for our sake, not his. SO true, nothing surprises me anymore any of those ‘fame and fortune’ fast entertainment people can go down hard. Look at Miley, look at many others. Just because they have money, and society have made them ‘special’ doesn’t mean they won’t sin or even do worse. The saddest part is the younger generation who ‘think’ he and all the others could never fail. He is an example whether that be a good one or a bad one. Very well said Jon! It is amazing how often we choose to believe something, ignoring the actions of people that contradict what they are saying by their actions. Amy and I find ourselves so often liking a new pop tune on the radio but as we listen to the lyrics we find that they contradict the upbeat nature of the tune. The song Pumped Up Kicks by Foster the People is a good example. The tune was very catchy and somewhat upbeat but the lyrics were very dark implying abuse and retribution. Thanks for the reminder to not only listen to words!